The living room is the hearth of the home, the main social area and the space where you receive your guests. But, because it often fulfills multiple functions at the same time, it’s difficult to easily come up with a suitable design for it. We’ve gathered a bunch of tips that might help but it’s up to you to figure out if and how to use them. 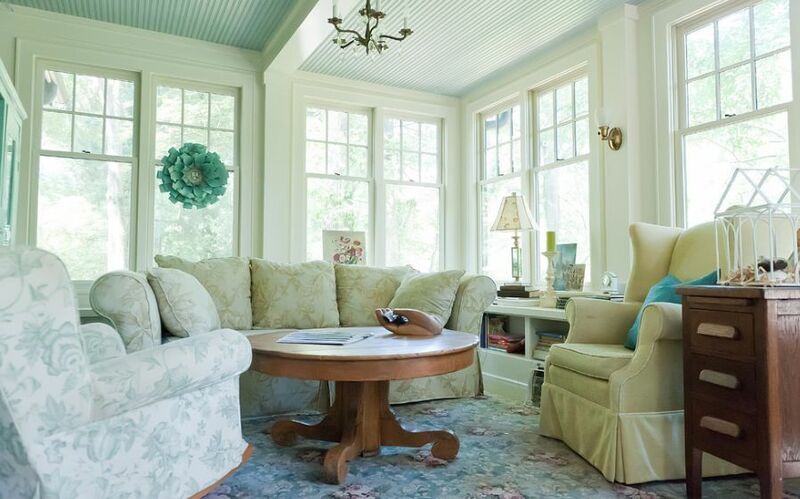 The ceiling doesn’t have to stay white, even if it’s believed that this helps the room look more bright and spacious. In fact, it’s better for the ceiling to feature the same color as the walls because, this way, there’s not that contrast that divides the space. Also, you paint the ceiling and transform it into a focal point. 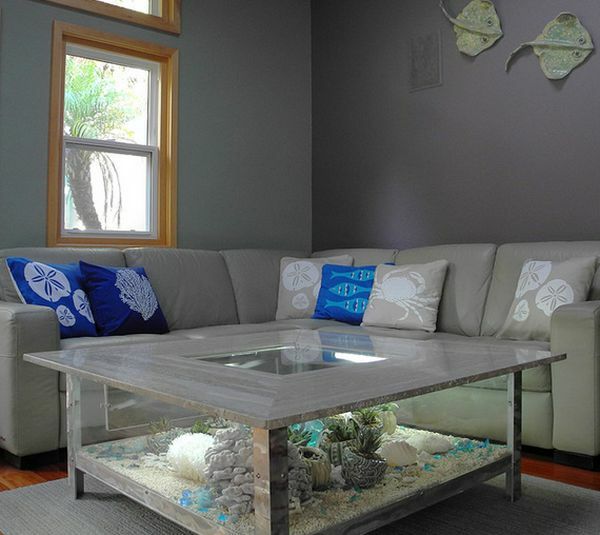 Consider a sunken sitting area for your living room. It’s a great way to make this area feel more comfortable, cozy and inviting. Also, it will definitely look interesting. Choose the colors right so they reflect the style you have chosen. 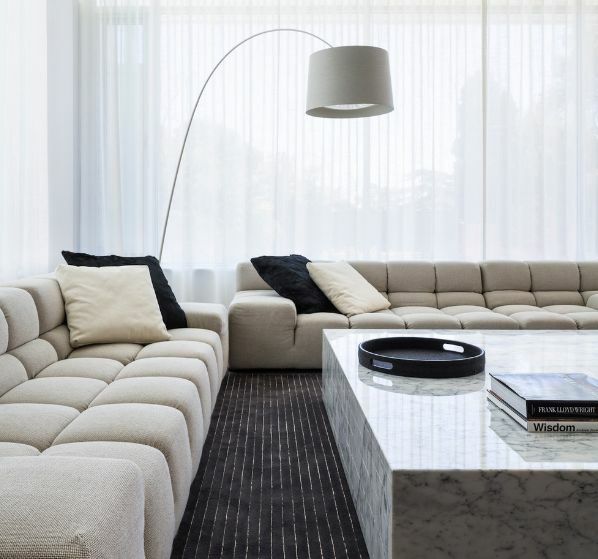 For example, a modern or a contemporary living room can feature clean, fresh and vibrant contrasts that include both neutral and bold colors. 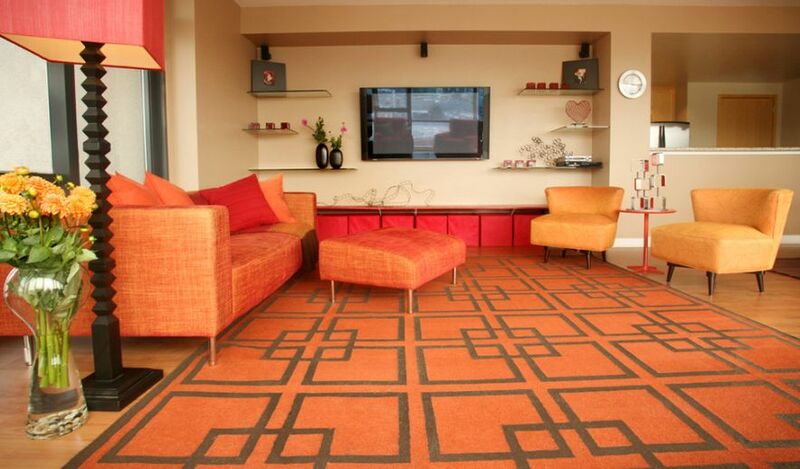 Use an area rug to make the living room stand out.  There are multiple ways in which you can take advantage of this feature. It can be a patterned or colored rug, it can have an interesting shape or texture or it can be used to delimitate a certain area. The living area should feature comfortable sofas and sectional so both you and your guests can enjoy seating and spending time together. 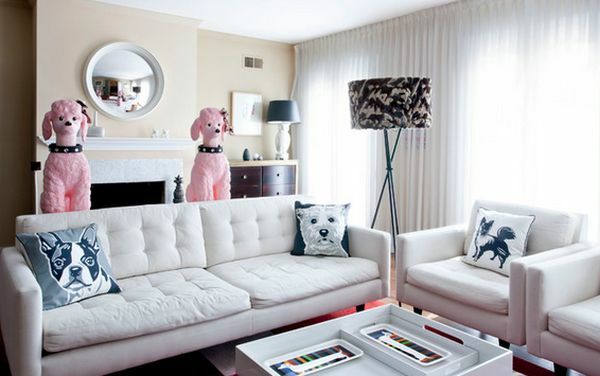 Use bold wall art to create focal points in the living room. 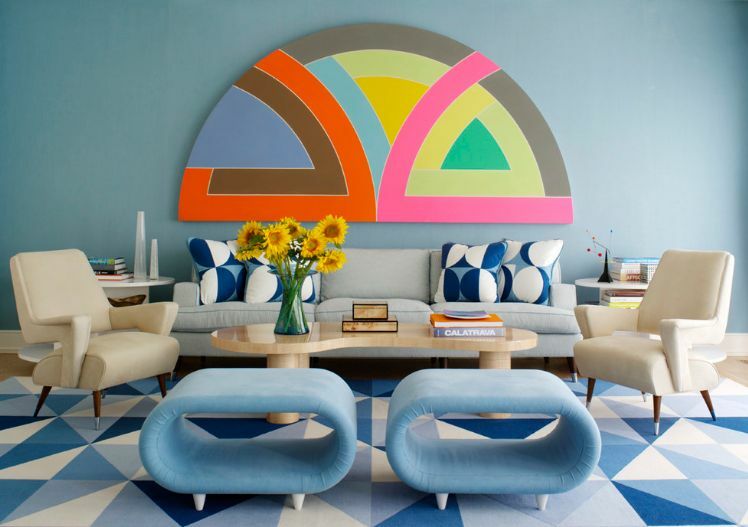 For example, even though this design is not exactly neutral and simple, it becomes less intriguing because of the brightly-colored artwork on the wall. 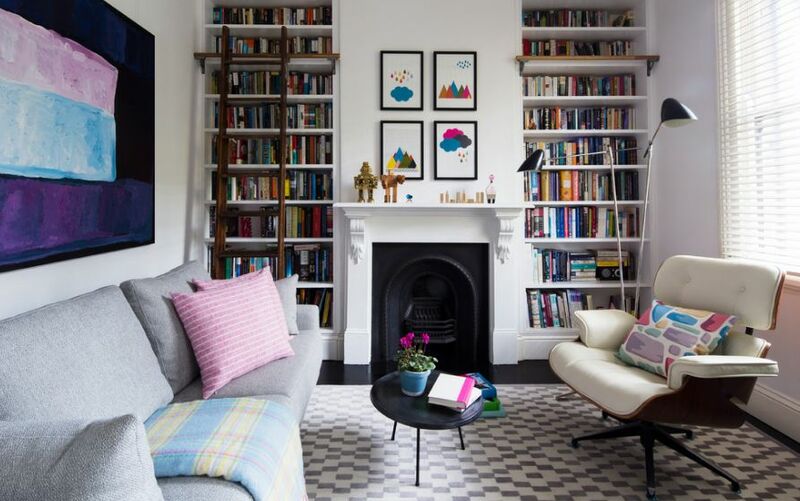 Create a reading corner in the living room where one can relax, take a book and enjoy a few quiet moments. 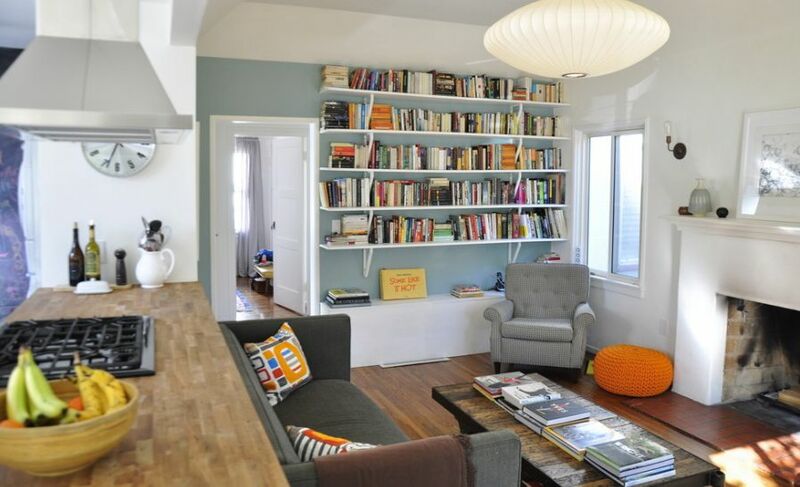 Since a lot of living rooms include bookshelves anyway, this is a really versatile and practical idea. Pick a theme and go with it. You can turn your living room into a tropical oasis, a refreshing beach-themed space or a funky and quirky area using a theme you’ve picked up yourself. 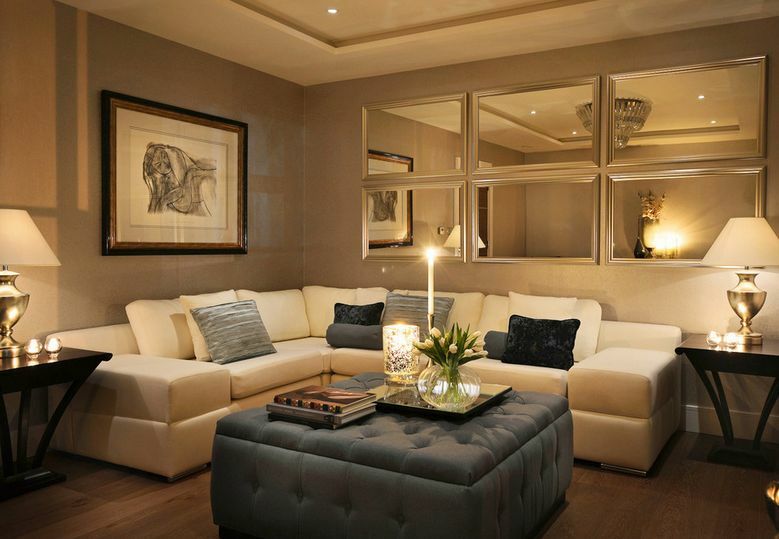 Use mirrors to add depth and dimension to your living room if you want it to appear more spacious or if you want to create interesting visual effects. Mirrors can be used as accessories and wall art.